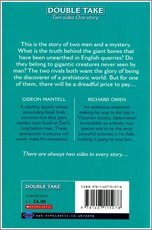 Gideon Mantell is a hard-working doctor of humble birth, who devotes his life to unearthing fossils near his home town of Lewes. His most famous find is a skeleton which he names Iguanodon. Facing bankruptcy and the debtors’ prison, he is forced to sell his fossil collection. After an accident leaves him in severe pain, he dies of an opium overdose, not credited in his lifetime for his achievements. Richard Owen is an anatomist with ambition. He climbs to the top of the scientific establishment by claiming the work of Mantell as his own. 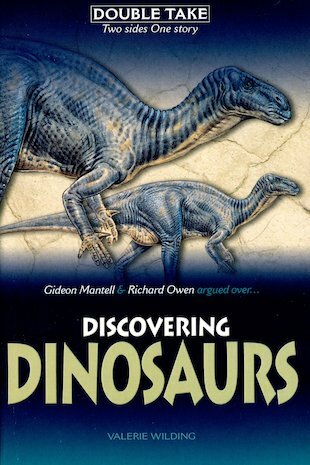 He names the dinosaurs in a fossil report based on Mantell’s findings, and provides models for the Natural History Museum, which are still there. He links his findings to the Biblical story of evolution, but is discredited following publication of Darwin’s Origin of the Species. Two scientists, two sides – one explosive story.